Backed by huge industry experience and market understanding, we are involved in offering a wide array of Single Toggle Jaw Crusher for our valued patrons. 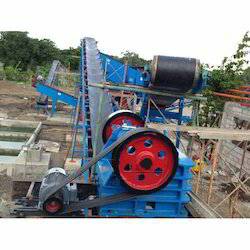 - Single Toggle Jaw Crusher Used for primary crushing of a wide Variety of Materials in Mining, Iron and Steel As well As Pit and Quarry Industries. - Single toggle jaw crusher has shaft and bearings and only one toggle which go from bottom of swinging jaw to a fixed point at back of jaw crusher. We are the key manufacturer, exporter and supplier of jaw crusher, which is basically used by various industries for crushing big lumps of slag from the slag pot. 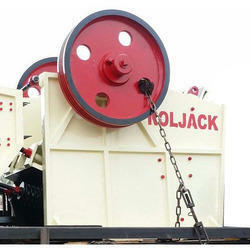 Our jaw crushers are made from high grade raw materials procured from the trusted vendors. In addition, these jaw crushers are manufactured at par with the industry standards and are meticulously tested as per international standards. We are among the reputed organizations, deeply engaged in offering an optimum quality range of Single Toggle Jaw Crusher Machine.